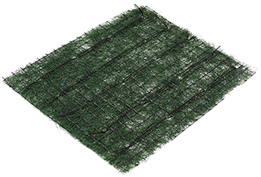 GreenSolutions(TM) GS 50 TRM is a machine stitched Heavy-Duty Polypropylene Turf Reinforcement Mat utilized for protection of shorelines, channels, and extreme slopes. GS 50 is comprised of an evenly distributed matrix of U.V. 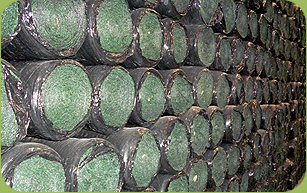 stabilized polypropylene/synthetic fibers that are stitch-bonded between two layers of biaxially oriented Heavy-Duty polypropylene netting. The fiber and netting components are stitched on 1.5" centers using a polypropylene thread. All components used to manufacture GS 50 are non-biodegradable and are resistant to U.V. and chemical degradation.